Bauan, Batangas is often described as the beach paradise two hours from Manila. Bauan is a coastal area bounded by Batangas and Balayan Bays, hence, there are many beautiful, powdery sand beaches nearby. Whether you live in Amaia Scapes Bauan or not, here are some of the beaches you shouldn’t miss when you’re in town. 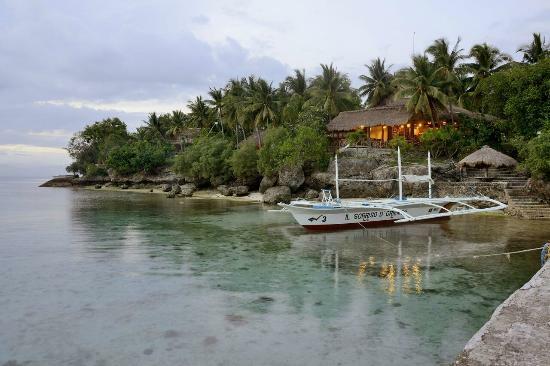 Located in Sitio Lubuyan, Locloc, La Thalilia boasts of its ombre blue water and off-white sand. The greenish blue to deep bluish water is like what you see on postcards. It is best viewed while standing on the seaside. Some water activities to enjoy are snorkeling, jet skiing, kayaking and riding the paraw (small boat). Nonetheless, the resort is known for its scrumptious meals and free-flowing Batangas coffee. Rosemund Resort is one of the several resorts in Barangay Sampaguita. The owners consciously try to imbibe a homey atmosphere and make it a family-friendly resort with hotel-like accommodations. The resort has seven rooms, the three of the most popular ones are called the Old House, Garden View, and Riverside. The rooms are furnished with wooden furniture pieces. The focal points of the resort are the view deck and the garden. There’s also a grotto if the guest wants some quiet time. Several sports and recreation facilities abound the resort. Guests may enjoy playing basketball, billiards, and table tennis. Another beach resort in Barangay Sampaguita is Coconut Hills Resort. The resort structures are made of half concrete and half bamboo, which according to its owners is reminiscent of the old and original Batangas. The water activities that Coconut Hills Resort offer its guests are wide-ranging. These include a banana boat ride, jet skiing (two and three seaters), five-seater paddle boat, wake and knee boarding, and snorkeling. The resort also offers fishing rod rental and boat rental for guests who want to island hop. If you want to take a break from the sun’s scorching heat, there are lounge chairs available located at the covered hut. Aside from the bungalow-type accommodations, the resort also has Ifugao rooms. Overlooking the adult and kiddie pools, the rooms cater to up to 4 persons. Seascape Resort is situated in Barangay Sta. Maria. The resort takes leisure seriously. It is one of the very few beach resorts in Batangas that offer themed rooms. There are Asian, International and European themed rooms available with ocean view or mountain view. The rates are inclusive of a complimentary breakfast. Seascapes Resort offers various facilities that each of their guests can enjoy. There are al fresco dining areas, picnic areas, bistro bar, patio and tree house. A zipline, basketball court, and billiard table are also available. If you want to stay for the night, there are several accommodation options. These are houses, chateau buildings, pergolas, cottages, and cabanas. 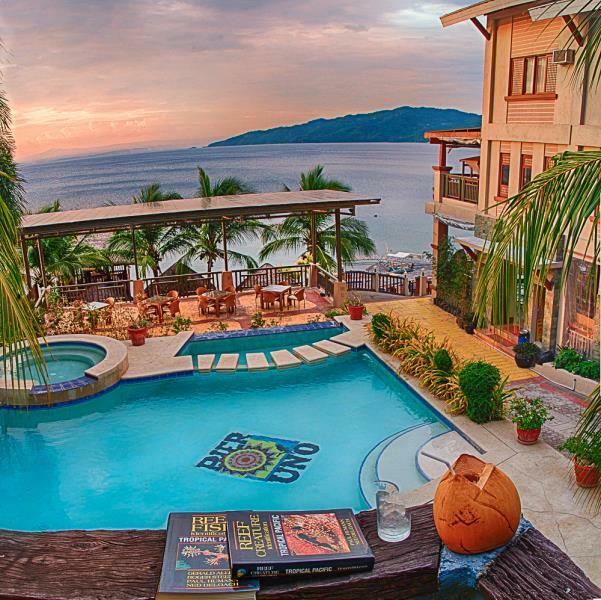 The most underrated resort in our list, Sampaguita Beach Resort is known for its affordable accommodations. Nonetheless, that doesn’t mean that the resor­­t is cheap. The resort offers paluto services to its guests. Table rentals are also available. And if you want to linger a little bit longer, aside from the rooms, you may arrange for the staff to pitch a tent for you. Guests are also allowed to make a bonfire. There are not much water activities other than swimming. However, if you want to look for violet cowrie shells that you can take home as souvenirs, this resort is the perfect place to do so. Planning for a near-the-city beach escapade is not that challenging. Above are some of your options if the hustle and bustle of the city life are slowly getting into you. Indeed, Bauan is the beach paradise that you’ll keep coming back to.